Do shocklands count as basic lands? As Blood Crypt enters the battlefield, you may pay 2 life. If you don't, Blood Crypt enters the battlefield tapped. You are right, thinking about it, the shock lands entering tapped is a replacement effect, so Angel of Jubilation doesn't care about those. Arid Mesa and Marsh Flats didn't get reprinted, but there are other cheaper ones like Flooded Strand I bought them when they were $8 now they are going insane again, also Polluted Delta is reprinted, as well as Windswept Heath and Wooded Foothills . Wooded Foothills can only pull Mountain but if you use it to pull a Blood Crypt or Sacred Foundry it's still quite good. Leyline of the Void price is ridiculous wow. Rakdos the Defiler can make it so he's not casting Meren of Clan Nel Toth losing half their lands, and other permanents. You can always sacrifice the Rakdos the Defiler to his Plaguecrafter or other crew. It took me a very long time to get him into my deck, I kept holding on to creatures like Aurelia, the Warleader . I think he's very cheap, give him a try. Remember that when he enters the battlefield "tapped and attacking" his "when he attacks" ability doesn't trigger, you just get the benefit of the "when he deals damage". Sometimes, I know it seems crazy, I sac half my permanents and attack, in 1v1, people find it hard dealing with a 7/6 Flying Trample timer when every permanent they play is lost (remember he is a Demon permanent so he doesn't sac himself). The "cheaper" reprinted fetches, will supercharge a Crucible of Worlds (and Strip Mine ) especially if your lucky enough to own a Wasteland which I am not lol. Zealous Conscripts is good on his own which makes him nice, my issue with him is the CMC5, its too slow for cEDH usually. If there isn't much in the way of Instant removal Mark of Fury should work fine, I would get Cartouche of Zeal out though. Also, Mother of Runes , one of her awesome powers is that I give Kaalia of the Vast protection from the color of the flying blocker that's going to kill her so she can't be blocked, or give her protection before damage to save her, or give her instant protection. 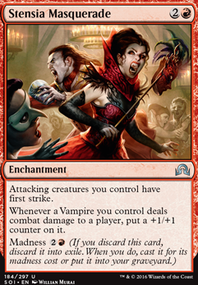 Doesn't help with Sacrifice though (except that you can sacrifice the Mother of Runes to protect Kaalia of the Vast . Overall very cool build, lot's of fun synergies in there. Looking good. Mark of Fury is okay, but has to survive till EOT. I hate 1 removal giving a 2 for 1. Maybe double up on your Expedite with Crimson Wisps . I like it better because it can still draw you an A/D/D to cast with the haste Kaalia of the Vast . Is Reliquary Tower just for Necropotence ? I might just go colored mana (I know how much fixing we have, but all our spells are or etc. Too situational. I see your playing Terramorphic Expanse , there's definitely other better fetch lands, but don't forget about Evolving Wilds . I don't recommend either because I hate tapped mana (except Bojuka Bog ). Vault of the Archangel might be a little too mana intense now, but it's still decent enough. I think Reflecting Pool might still be affordable but I haven't bought one in a long time. Obviously Kiki-Jiki, Mirror Breaker + Restoration Angel or Village Bell-Ringer go infinite, but there is also Combat Celebrant and Zealous Conscripts as well, but of course relies on the Kiki-Jiki, Mirror Breaker quite heavily. Thornbite Staff can also go infinite with Adarkar Valkyrie or Kiki-Jiki, Mirror Breaker , also with Kiki-Jiki, Mirror Breaker avoids the UGLY equip . Just an FYI. Tainted Pact is an inexpensive (and instant) speed tutor, the problem is, you can't have any duplicate lands in your deck (even duplicate basic lands) so that's where it gets expensive. There's also Demonic Consultation if your a gambler lol, damn those top 6, it's also instant so can pull a Master of Cruelties if Kaalia of the Vast triggered ability gets on the stack, tutor for the killer. You may want Crucible of Worlds , it works best with all the fetches like Windswept Heath , Wooded Foothills all the fetch lands, but also is awesome with Strip Mine or Wasteland ($$$). If you have Crucible of Worlds + a Fetch land, basically can filter out all the mana from the deck (while ramping) so when you draw it's usually favorable. I've contemplated it over Chromatic Lantern but don't have one to test, although reasonably priced since reprint. I have similar worries around Cartouche of Zeal (2 for 1), but when you need haste you need it. 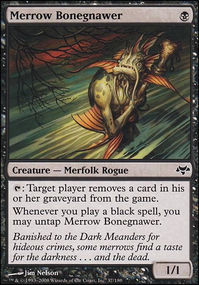 I like Leyline of the Void more than Tormod's Crypt , Relic of Progenitus for sure, since it's a lasting effect and CMC0 in opening hand, and prevents the Experience from getting earned at all. But they are ok at the job. Relic of Progenitus would be amazing if it could target the card, but it has more utility than Tormod's Crypt anyway even with the downside. Be careful with Angel of Jubilation he shuts down your deck too, like Goblin Bombardment , Razaketh, the Foulblooded , Necropotence , Phyrexian Reclamation , Diabolic Intent (might be wrong on this one would have to check the rule book on additional costs), Mana Confluence , Bloodstained Mire (or any Fetch). Maybe Blood Crypt / Godless Shrine / Sacred Foundry probably enter tapped too (again this one would have to read the rulebook too, not sure if that's considered paying a cost to "activate abilities" probably not because it doesn't have the : symbol on it. City of Brass is another good multi-color mana asource. Terminus is a terrific way of getting rid of all those recurring creatures too (unless he can sac them all in response somehow). Sun Titan + Gift of Immortality love each other, but he's a hard cast in this deck (think about with Goblin Bombardment . If you have a Grand Abolisher then Mark of Fury works well, but I dunno I wouldn't personally play it or Cartouche of Zeal too scary for me. I might have mentioned before, Angel of Despair is far superior to someone like Angel of Jubilation unless she's solving a specific pod problem for disruption to your deck. Hellkite Tyrant is hand if you play artifact decks like Breya, Etherium Shaper or Teferi, Temporal Archmage . Mother of Runes can give protection if your facing Targeted removal. Oh Hall of the Bandit Lord can give haste too. Diabolic Tutor is a underplayed tutor but if your games are going beyond turn 6 it's quite viable. Rakdos the Defiler is almost as deadly as a Master of Cruelties if you can get him connected early enough. Some ideas anyway, the reprinted fetches like Windswept Heath are fairly cheap still (I think). PS: Zealous Conscripts loves stealing, Haste attacking, and sacrificing opponents creatures with a Goblin Bombardment . Here's some recommendations, budget conscious where I can be. 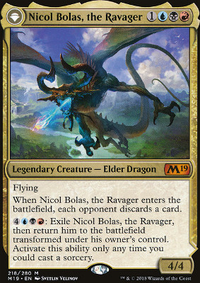 Lightning Greaves is a critical component of Kaalia of the Vast , I play multiple tutors for it, like Steelshaper's Gift and Stoneforge Mystic . Lightning Greaves is a must, if you can't connect a Haste Kaalia of the Vast swing your going to have a bad time. Gisela, Blade of Goldnight is a staple, the double ended effect is really the key. She is a bit pricey, so I'll offer some other options tool. 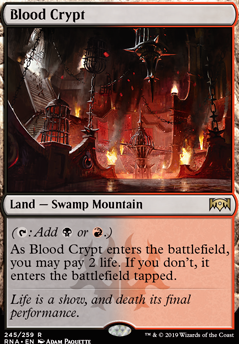 Lands are important, but expensive, Blood Crypt because it's both a Swamp and Mountain is good, Godless Shrine same idea but Plains . Works with the check lands like Isolated Chapel . 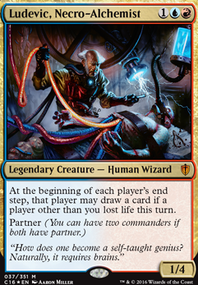 Anguished Unmaking & Path to Exile good removal if you have, expensive to buy elsewise. Utter End & Mortify are cheaper alternatives but still exceptional removal spells. Battlefield Forge is cheap and gives good color indexing. Diabolic Tutor is still okay at CMC4 and very inexpensive to all the reprinting of this tutor. I would try and hone in on a desired goal and synergize around that. Mine is Kiki-Jiki, Mirror Breaker and Restoration Angel , Land Destruction / Indestructible, Liliana's Contract / Shadowborn Apostle type decks, Worldgorger Dragon , Extra Combat Phases. You have a little bit of Legendary sub-theme, some protecting yourself and Kaalia of the Vast sub-theme Magus of the Moat / Boros Charm , some recursion with Phyrexian Reclamation . You've got a very strong base of cards, once you pick a synergy, you definitely want to synergize around those core abilities. You have lots of great cards, and I bet it's extremely fun to play! The Signet's are good, Talisman of Indulgence is cheap and better, I also feel like in most situations Fellwar Stone is better than the signet too. But because of the cost of the other mana sources, augmenting with Signets is a fantastic idea. I don't like Subterranean Tremors , small ground walkers should matter too much to you, and all of your ramp comes from artifacts so destroying those is not a great idea. If your getting a Lizard, something is off the rails. Something like Vandalblast is better for Artifact control. Never been a fan of Rogue's Passage , CMC5 for unblockable is too much, perhaps try something like Shizo, Death's Storehouse . Crackling Doom another card that gets around indestructible, but so do things like Utter End or Anguished Unmaking . Crackling Doom is very unlikely to get what you really need it to solve. Chancellor of the Annex doesn't seem strong enough for the CMC7, or Stax enough. Odric, Lunarch Marshal seems a little out of place, the A/D/D are pretty tough on their own, if you have enough where engaging Odric, Lunarch Marshal to multiply their abilities you should be winning anyway without him. Archangel Avacyn Flip is similar to Angelic Guardian but a little more versatile. Sneak Attack another way to cheat things in, similar to Quicksilver Amulet . I don't see anything out of place here, other than some of my comments. Adarkar Valkyrie has many infinite combos (like infinite combat with Aurelia, the Warleader ) for example. I have a bunch under my Alternative Synergies Considered if your interested. She's powerful, can establish some combos, and fits the build in a budget format. I‘d add Priest of Forgotten Gods instead of the Hackrobat . then swap in Gutterbones for The dodger, kick the Spawns and add 2 Judith, 1 priest. Kick 2 Carnival, 7 Mountain, add 4 Blood Crypt , 4 Dragonskull Summit . 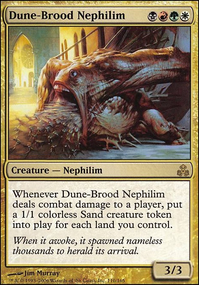 In Sideboard i‘d suggest 4x Duress Instead of the Scorchmark . I made something similiar with my Black Judith. Have Fun with this Deck, and Good Luck! cplvela0811: the deck thinning effect of a fetchland is so small its negligible. DragonChampions: Wooded Foothills can grab a Blood Crypt or Sacred Foundry , making it a potential source of black or white mana, not only red or green. hence why its better than a mountain. additionally, fetchlands put cards in the grave so that they can later be used for the effect of Grim Lavamancer .